Career experts agree that LinkedIn is an essential job search tool. Not only can you instantly get the word out to hundreds, if not thousands, of colleagues, bosses and potential employers about your latest accomplishments, ambitions and changes in employment status, but your LinkedIn profile can also serve as a passive job magnet, since recruiters and hiring managers use the site as a gold mine for locating candidates. I worked with a LinkedIn's senior manager of communications, Krista Canfield, on the essentials of putting together a profile and making the most of it. Here's what I learned. LinkedIn will assign you a Web address when you create a profile, but you can write your own URL. Click the drop-down menu next to the "Edit" tab and then click on "Public profile settings." Halfway down the page, click on the blue phrase, "Customize your public profile URL." Try using your first and last name, with no spaces, and then other variants of your name. This will drive your LinkedIn page up toward the top of a Google search. 2. Write a crisp, detailed summary of your career. Shoot for 100-300 words and try to tell a compelling story about yourself that includes specifics and quantifiable achievements. 3. Flesh out the experience section. This is your chance to write an online resume. Many people only include their current job. Take the time to list the significant positions that built your career. Q: What's the best way to get organic growth for a LinkedIn company page? A: Don't let the social media "gurus" out there fool you: There is no exact formula that will magically get you 100,000 followers overnight. However, there are definitely practices that you can employ to help grow your social-media network. I have found that if you stick with the three C's -- community, content and consistency -- you can enhance your LinkedIn company page over time. Community. Use your real life community to help build your social-media channels. Every time I start using a new platform, I ask my friends and family to connect with the page first. The people that care about you will be your biggest cheerleaders. By getting them to engage, you will start to build a foundation to attract new people. Also, use your existing social-media communities to attract new people to your LinkedIn page. Have you shared your business page via Twitter and Facebook? All of these channels should be interconnected. Content. Practically everyone is on LinkedIn for career purposes, so make your page a resource for your industry. Share engaging, original content with your followers that they can utilize in their everyday life. For example, publish workplace tips or career advice relevant to your audience. You've probably heard that social media, especially LinkedIn, can help you find a job. Whether you are currently employed and open to opportunities or between positions, statistics suggest LinkedIn is a useful tool. A survey of hiring managers by Bullhorn Reach says 97.3 percent of those surveyed used LinkedIn as a recruiting tool in 2012. Having a profile is a great first step, but if you're like many professionals, you could probably leverage LinkedIn better to help you reach your career and job search goals. Take a close look at your profile and how you use the network and make sure you aren't making these mistakes on LinkedIn. 1. Your profile isn't 100 percent complete. You set up a profile, isn't that enough? Not exactly! Check your profile and make sure LinkedIn tells you it is "100 percent complete." If it's not, take the steps needed to fill it in. Perhaps you need to reach the required 50 contacts. Have you added your education and filled in some skills? Have you included your zip code, and filled in all of the sections? Do you have a Summary and have you described your work experiences? Don't forget to include a photo; people are much less likely to want to learn more about you if you don't add a picture to your profile. When your profile is not complete, you will be harder to find on LinkedIn, and you don't get the full benefit of the network. 2. Your profile lacks compelling details and keywords. 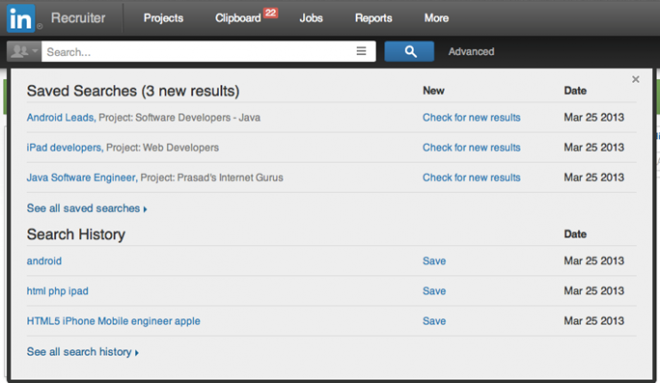 When recruiters or others search LinkedIn, they see many results listed. What will inspire them to select your profile? To start out, make sure you use a friendly, but professional looking photo. Create a headline (the information right under your name) that makes it clear why someone should want to learn more about you. Don't use your current job title as your headline; be descriptive and tell people why you're great at what you do. When you compose your descriptive headline, or pitch, be sure to include keywords, the words people are most likely to use when they search for someone with your background. Take advantage of the opportunity to tell your story in your LinkedIn profile. 3. You never modify your profile. Social networks don't work as well when you "set it and forget it." Keep an eye on how often your profile comes up in search and how many people view your profile. (You can see this information when you view your profile - scroll down and look on the right side of your screen.) If the numbers are low, update your titles and your headline and tweak your descriptions to try to capture additional search traffic. You already know by now that LinkedIn is a great tool to help with your job search, but it's also the place to be when you're NOT directly looking for a job. Passive job seekers are already employed, but willing to take on a new opportunity, should the offer fit the bill. So, whether you're actively seeking a job or not, LinkedIn is where it's at. For those of you who just crawled out from the rock you were living under for a decade or so, LinkedIn is a professional social networking site that has morphed into one of the top tools recruiters use to find qualified candidates. Setting up a profile on LinkedIn is free and relatively simple, but it does require a bit of thought and time in order to complete your profile in its entirety (which is an important step if you want to get noticed). If you would like to learn more about how to optimize your LinkedIn profile, take a look at this post. In a recent interview with The Washington Post, LinkedIn's VP of Talent Solutions and Insights, Dan Shapiro, indicated that "through regular surveys, LinkedIn has determined that 20 percent of its users are actively seeking new positions and 20 percent couldn’t be happier in their jobs. The remaining 60 percent fall into the passive job seeker category." Shapiro went on to state that the social networking site is working diligently on the back-end to find out exactly what it is that makes the "passive job seeker" believe a particular job is the right fit. If that question can be answered, LinkedIn will hold the key to a valuable recruiting tool that will take the guesswork out of matching jobs to candidates. Therefore, it's essential for active and passive job seekers to have complete and updated online profiles if they wish to catch the eye of social recruiters. Otherwise, you can just consider your lacking profile as a message to the recruiters that screams, "I'm too lazy to type out words; wait until you see my terrible work ethic. Hire me." Check out this infographic from Masters in Human Resources that illustrates how LinkedIn has revolutionized the world of recruiting, with 97 percent of staffing representatives utilizing the social site for recruiting candidates. LinkedIn upgraded its Skills section late last year to allow your first level connections to provide affirmation that you do indeed possess certain skills. Consider that to be good news because recruiters and hiring managers are more comfortable trusting your skills claims when they have credible corroborating evidence. Unfortunately, people have gone a little overboard in endorsing each other on LinkedIn, thus causing great skepticism about the validity of these endorsements. If you have a large network that includes people you don’t know at all, then you’re at particular risk for this problem. Select “Add and Remove.” LinkedIn lets you display ten items in an attractive vertical display. Beyond ten, it goes to a cluttered horizontal display. Shudder. Limit yourself to no more than ten skills. Pick the ones you want to be hired to do. Think “key words that recruiters would use to find me.” Delete the rest. Resist the urge to go beyond ten. It puts you at risk of looking like a Jack of All Trades and Master of None. High school students can use these tips to get a head start on networking. LinkedIn made two announcements Monday that mark a shift away from its approach of only going after working professionals — now it wants to add teens in the mix. It will lower its minimum user age next month to 14 in the U.S. and has already started launching college pages to prompt engagement with prospective students. But even if your plan is to major in business and launch a Fortune 500 company after you graduate, take some time to learn the ins and outs of LinkedIn before you connect with Richard Branson or Marissa Mayer. DON'T spam people you don't know with requests to connect. LinkedIn's beauty is in its simplicity: Find people you've worked with, connect with them and then ask them for an introduction when you're looking for a job or business contact. But people don't want to see their inbox crowded with names and faces they don't recognize, asking to connect. If you must get in touch with someone you've never met in real life, or haven't at least talked to on the phone, send an explanation of why you want to connect and what you hope the relationship will bring for both of you. DO follow up on in-person meetings with a LinkedIn request. It's not always expected that college students have a LinkedIn profile, and it will probably be more of a surprise if someone in high school has one. If you meet important professionals at a school banquet, through your parents or at a summer job, shock them (in a good way) by sending a request to connect afterward. It will show them you're already ambitious enough to be thinking about your career and that you valued meeting them. DON'T lie on your profile. This goes without saying, but LinkedIn isn't Facebook or Twitter, where people say whatever they think will make them sound "cool." People expect you to be honest about your accomplishments, age and work history (whether it's at a lemonade stand or the local Taco Bell). Even a small lie can come back to haunt you as you're looking for a job years later. Job hunting can be a frustrating and tedious process, especially if your efforts aren't getting you anywhere. More often than not, you could be guilty of falling into one or more common job search traps, said Lindsey Pollak, career expert and LinkedIn ambassador. "Even if you think you're doing all the right things, some people don't understand the rules of job hunting," she said in an interview. "Job hunting itself is its own skill, and it has its own set of rules that you need to abide by." Here's a look at five common mistakes, plus tips for avoiding them. Everyone knows that having background knowledge on the company you're applying to is important, especially in the interview process. What many people don't consider is the type of information you need to brush up on. Be aware of any mentions of the company in the news -- both good and bad -- in addition to significant management changes and what its latest earnings report was like. You should also be informed on what you would be working on in the job you're applying for and what's most important about it, Pollak said. Aim to brush up on what's new in the industry, too, she said. LinkedIn can help with much of this. Follow the business' company page for the latest information on personnel changes and important news. This can provide you with ideas for specific questions to ask during the interview process, Pollak said. You can also use LinkedIn Groups to find a community based on the industry you're interested in to keep up-to-date on what people are talking about. According to the U.S. Bureau of Labor Statistics, 70% of jobs are found through networking. If it's been a while since you connected with those in your network, now is a good time to drop them a note, Pollak said. Start by identifying your connections who are most active on LinkedIn, she recommended. You can find them by browsing who has appeared in your activity stream and contributed to Group conversations. "Treat it like you would people at a conference. You want to focus on and connect with the people who are there, not the ones who didn't show up," she said. To reengage with people you have lost touch with, send a note of congratulations if someone has changed jobs, for example. Or, consider commenting or liking a story a connection has posted. Pollak said that these interactions can lead to a conversation, which can lead to an opportunity. If you want to take a more direct approach to reconnecting with someone, Pollak recommended contacting them directly through a personal message. Below is an example of an appropriate message that shows you have done your homework and are genuinely interested in knowing that person again. I came across your LinkedIn profile in the Intel alumni group and wanted to get back in touch. It's terrific to see that you've launched your own consulting business! I remember that was a goal of yours. As for me, I'm still working in software sales and am looking to make a transition back to the East Coast. I'd love to reconnect, catch up and perhaps see if we might assist each other. Would you like to chat by phone sometime in the next few weeks? Your LinkedIn profile should not be a place to showcase your extensive vocabulary, Pollack said. Keep your language simple because people won't search for "passionate and clever wordsmith," they'll search for "writer." "This one is an absolute science. Go to the job listing you're interested in and look at the words they have used, then use those same words in your profile," Pollak said. "You certainly don't want to plagiarize the paragraph, but use your common sense to identify what's important, then make sure those words are in your profile." To test whether you're attracting the right people to your profile, look at the "Who's Viewed Your Profile" statistics, she recommended. In particular, check the listing of keywords that people used to arrive at your profile. If you don't like what you see, adjust the way you describe yourself, she said. Networking can prove invaluable when it comes to looking for a job, as well as when you’re planning on training for one. The right network can offer suggestions on what courses to take in college, help open doors at the right internships and ultimately help you launch a career in the organization of your dreams. LinkedIn is now helping you start that process as early as high school with LinkedIn University Pages, a new product launching on the site Monday. While the pages aren’t designed to be exclusively used by high school students, those students might find their content especially useful. Starting Sept. 13, students in the United States age 14 and up will be able to sign up for LinkedIn, create a profile and interact with University pages. “We believe University Pages will be especially valuable for students making their first, big decision about where to attend college,” says LinkedIn’s Christina Allen. The new pages allow students to tap into the network at a school they’re considering, ask current students and alumni questions, and explore the career path of graduates from the University for an idea of what they can expect after receiving their degree. Anyone who’s ever crafted newspaper headlines for most of an eight hour shift realizes a lot of mediocre verbiage comes to mind first. This is usually followed by the stronger, eye-catching ones. These professional headlines are important, because they are one of the first things others see when they search the site. It becomes the sum-up of you and it’s smart to “make it sparkle,” said Krista Canfield, LinkedIn’s senior corporate communications manager. She uses the terms “journalist wrangler” and “constant beta” in hers. What Should Your Headline Accomplish? The headline ought to “grab your attention” and help you stand out from other professionals who share your title or field, said Canfield, like a headline in a media article, “you want to draw people in and entice other professionals (whether they are potential hiring managers, business partners or clients) so that they click through to read the whole story – your full LinkedIn Profile, she said. You also may want to give a key trait that will appeal to employers: energetic, bilingual, multimedia, design, award winning. Don’t make your headline a list though, either of your varied jobs or your skills. How Much Creativity and Personality Will You Show? This depends partly on your industry and your attitude. You want to differentiate yourself from other profiles that also may show up in a recruiter’s search, Schaffer said. Plus you want to humanize yourself so you seem more approachable online, Canfield added. My current headline: “Careers and consumer writer, with a side of cherry ice” focuses on my duality: I’m a writer / journalist and an entrepreneur. It intentionally gives people a reason to look twice. They may be intrigued to learn that I co-own a small social enterprise, which sells Michigan-made all-vegan Italian ice, and gives a glimpse of my love of sweet treats. Companies today want employees who can hit the ground running, and that means knowing as much as possible about what that company does, who its competitors are and what’s happening in its overall industry. Beyond thoroughly researching the employer’s own website, you should follow that organization’s Company Page on LinkedIn. Pay special attention to current news the company is posting (which can provide ideas for specific questions to ask during networking conversations and formal job interviews) and the “Products & Services” page, which provides a cheat sheet to the company’s overall structure and offerings. For general insight into an employer’s industry, subscribe to that industry’s LinkedIn Channel and join a few LinkedIn Groups in that field to get a sense of what industry insiders are talking about. Not sure which groups will be most valuable? Look at the LinkedIn profiles of people who work for your dream employer and join the groups they belong to. According to the U.S. Bureau of Labor Statistics, 70% of jobs are found through networking. This means that every member of your network should be cherished; any lost connection is potentially a lost opportunity. You can use LinkedIn Contacts to manage all of your existing connections and integrate them with your daily calendar. This means you’ll never miss an opportunity to congratulate someone on a new job or follow up on a recent meeting. Scan through your LinkedIn feed on a daily basis, too, to look for opportunities to comment on people’s status updates and the news they share. Even a simple “like” on an article someone has posted can lead to a chat, which can lead to an opportunity. I came across your LinkedIn profile in the Intel alumni group and wanted to get back in touch. It’s terrific to see that you’ve launched your own consulting business! I remember that was a goal of yours. As for me, I’m still working in software sales and am looking to make a transition back to the East Coast. I’d love to reconnect, catch up and perhaps see if we might assist each other. Would you like to chat by phone sometime in the next few weeks? Here’s an example of a mistake I see frequently: wanting to be unique and creative, an aspiring writer will create the LinkedIn headline, “Passionate and clever wordsmith.” That’s great, but when someone is looking to hire a writer, he or she is most likely to search with the word “writer.” Don’t get too fancy! Recruiters, in particular, use keywords to find talent, so it’s important to research the keywords that a recruiter might be using to find someone with your particular skills. If you’re not sure what keywords to include in your headline and throughout your profile, scan through the job listings that appeal to you. Recruiters have likely provided you with the exact words they want. To test whether or not you are attracting the right people (including recruiters) to your profile, check out your Who’s Viewed Your Profile stats. In particular, check out the listing of keywords that people used to arrive at your profile. If you don’t like what you see, it’s time to adjust the words you are using to describe yourself. So you followed the step-by-step wizard to completing your LinkedIn profile. Then, maybe you even went a step further and added some apps like your SlideShare account, claimed your vanity URL, and linked your profile to your website and blog. Congratulations, you graduated LinkedIn 101! But you want to be so much more than that. You want to be an expert in your field. You have ideas that you want to be seen and heard. Good news! With LinkedIn, you can become whoever you want to be if you put in a little bit of time. For the low investment of just 15 minutes a day, you can establish and maintain a solid personal brand. Just follow these simple steps every day, then start to watch your connections grow and the requests for your expertise flood in! And if you're a European marketer who is looking for a deeper dive into using LinkedIn to drive business results, check out our recently released toolkit, Lessons in LinkedIn for the European Marketer. You'll lean the basics: how to build and grow your LinkedIn network, how to build a personal brand on LinkedIn, how to use LinkedIn for business, and how to measure the success of your LinkedIn efforts. Click here to download this toolkit. Before we get started, you need to get yourself into the habit of investing time in building your personal brand. Allocate a slot on your calendar and make it recur every day of the workweek. When that reminder pops up though, you need to take it seriously -- no snoozing! 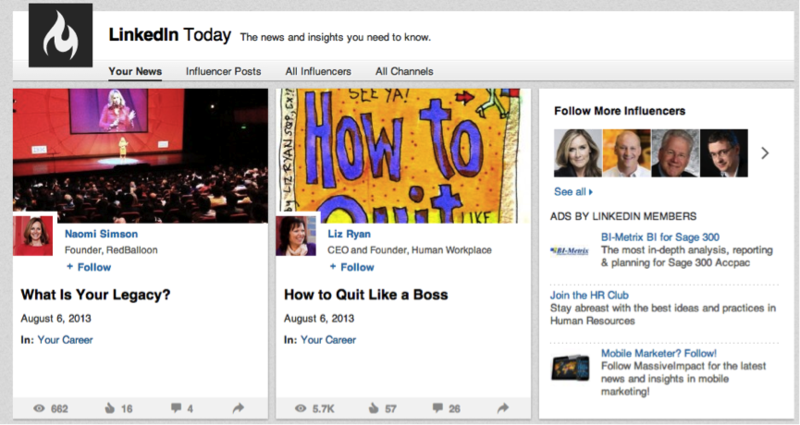 1) Find thought-provoking articles from LinkedIn Influencers to read and share with your network. 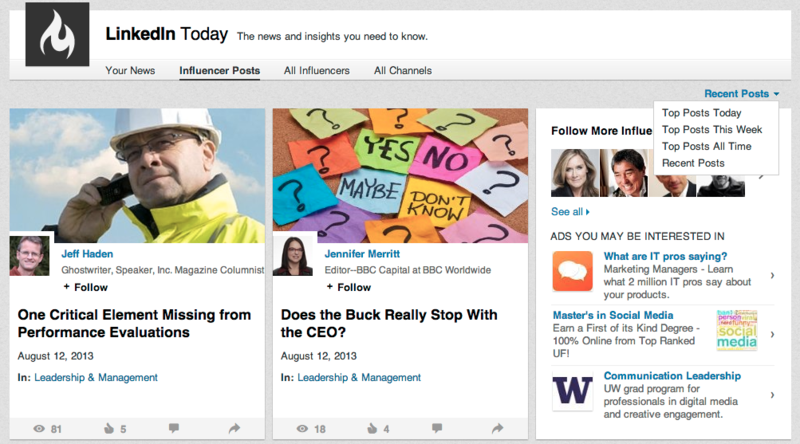 When you log into LinkedIn, go to the 'Interests' menu and click on the dropdown item named 'Influencers.' You can filter the types of posts based on the most recent posts, top posts this week, or top posts today. As you'll be coming there every day, choose ‘Top Posts Today’ so that you will be equipped with timely and topical information to share with your network. Once you find two or three valuable Influencer Posts, schedule them to be shared with your network throughout the day. Keep in mind that, the earlier you share information to your network, the more valuable you will become to them. If you share a top Influencer Post a week after your connections have already read it, your value to them diminishes significantly. And if you find any particularly inspirational experts, make sure you follow them so they will appear in your tailored news section tomorrow. 2) Follow one new Influencer from the 'All Influencers' tab each day. Next, head over the 'All Influencers' tab and find someone to follow. Along the right of the page you can see a drop down menu which allows you to filter by the most followed influencers, or alphabetically if you already have someone in mind and want to find them in there. We recommend that you not only follow people in your industry but also experts in completely different roles or fields who will inspire you and your network to think in a different way. Following people who will make you think differently though original, thoughtful content will not only give you more content to share throughout the day, but also establish yourself as a quality content curator with your Connections. In the tab called ‘Your News,’ you'll see the latest and greatest from the people you are already following. Be disciplined and only choose two or three articles to read each day so you don’t lose an hour or more lost in the genius of these people -- which could be very easy to do! Curate the articles that you want to share, but don’t blast updates to your followers all in one spree. This will clog up your people's timelines and they will see you as more of a nuisance than a valuable connection. If you have social media software like HubSpot's Social Inbox in place, you can easily schedule updates to go out across the day or week. On every job application, companies ask me for my LinkedIn profile. The problem is, I'm not really sure how to use LinkedIn and my summary is a complete mess. How can I improve it? Should it look like a cover letter or my resume? Help! When you’re looking for a job, it really pays to fine-tune your LinkedIn profile, since that’s the site companies and recruiters turn to first to find and evaluate job candidates. The good news is you can use LinkedIn to position yourself exactly how you want potential employers to see you. With so much flexibility, however, that’s also the hard part. Here’s how to tweak your LinkedIn profile specifically to help you land a job (or even just increase the number of opportunities that come your way, even after you’re done actively job searching). When many people sign up for LinkedIn, they copy the basic details off their resumes into the wizard (e.g., job titles and employment dates) and then leave it at that. With such sparse details, however, that’s the career equivalent of joining an online dating site with nothing but your name, age, and location. LinkedIn is often thought of as an “online resume,” but it’s really more than that and should be treated differently from your resume. Ideally you customize your resume specifically for a certain position and employer you’re applying to. Your LinkedIn profile, on the other hand, is a broader view of you as a professional. It should supplement the information on your resume, but not be an exact copy. Also, on LinkedIn you can be more personable in the way you tell the story of your career and what your professional goals are. I’ve used LinkedIn in a number of ways - connecting with people I knew from jobs gone by is one, but lately I’ve used it more to check out prospective candidates applying for jobs at my current company than anything else. It’s really interesting to see how a candidate’s resume and LinkedIn profile match up. In particular, I came across one candidate where their resume was chock full of buzzwords and I had all but written the person off, but their LinkedIn profile had a wealth of interesting and personal information about their accomplishments as well as endorsements from previous supervisors and colleagues. It actually made me reconsider the candidate in a lot of ways. With that in mind, let’s take a look at the main areas you should focus on in your profile to make it more attractive. Profile Photo: The best photo for your LinkedIn profile is one that looks like a professional headshot—that means no blurry images, distracting background elements, or other people/animals in the photo (you’d be surprised at some of the profile pics you’d find on the networking site). Most important, make sure you have a photo in the first place. Otherwise you’ll look like a generic gray silhouette, which makes potential employers less likely to view your profile or trust you. Headline: The headline is that blurb that goes beside your name at the top of the profile. LinkedIn puts in your title and company there by default, but you don’t have to leave it at that. By making your headline more descriptive with keywords that describe your skills, employers can get a better picture of you and you’ll show up better in search. For example, instead of “Budgeting Director at Kelly Services,” you can make it “CPA/MBA | Deliver Timely, Accurate Management Information & Analysis for Decision Support | Budgeting Director, Kelly Services.” (Full disclosure: That’s an example from an infographic about LinkedIn mistakes I created with AvidCareerist’s Donna Svei, promoting my book about LinkedIn. Donna says adding credentials, like the CPA/MBA is wise to do for many industries and can help separate you from the pack.) My profile headline simply adds a few of the areas I specialize in writing about: technology, personal finance, telework, and "life hacking." Keywords: To make your profile more relevant to potential employers and more easily found, incorporate the most important words associated with your job. For example, keywords like “MySQL databases” or “social media strategist.” A good way to find those three to five important keywords to pepper your profile with? Copy the description from an ideal job posting and paste it into Wordle.net. The best places to put those keywords are your headline, summary, and job titles—but incorporate the keywords as naturally as you can, rather than trying to force them in. 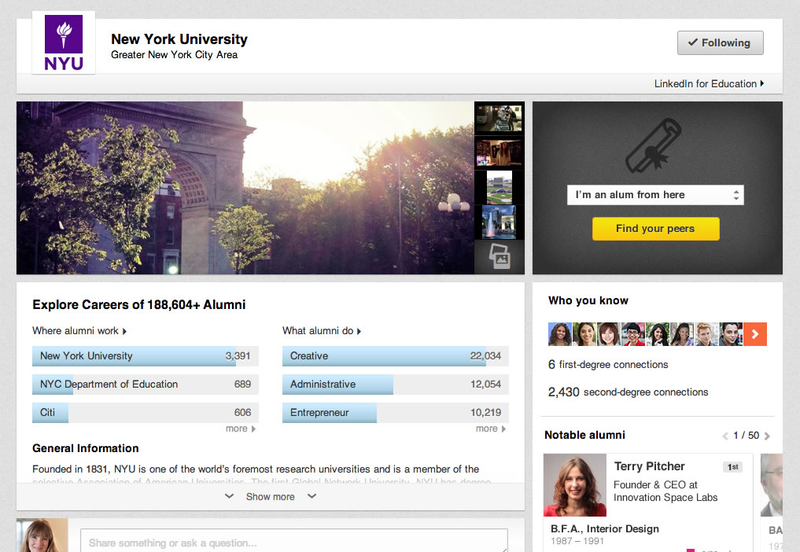 Are you waiting until after graduation to start building up your LinkedIn profile? It's time to reconsider. "Every student is blindly trying to make a resume, but surprisingly many don't have great LinkedIn profiles," says Natan Edelsburg, senior vice president at Sawhorse Media. "I often hear, 'Here's my resume. My LinkedIn isn't great, but here's the link.' I usually respond, 'Make it great, and then get back to me!'" Thirty-seven percent of surveyed job recruiters identified social professional networks as one of the most important sources for hiring. Social professional networks are also the fastest growing source of quality hires. Still not convinced? Ninety of the Fortune 100 companies use LinkedIn's corporate talent solutions to find future hires. "Employers are looking for recent graduates," says Nicole Williams, a career expert at LinkedIn and the founder of WORKS by Nicole Williams, a lifestyle brand for young, career-driven women. If you're active on LinkedIn as a college student, "you may be able to be identified as a college student, and as a potential candidate, passively," she says. Being identified "passively" means job recruiters could find your profile and consider you for a position, without you even having to apply. 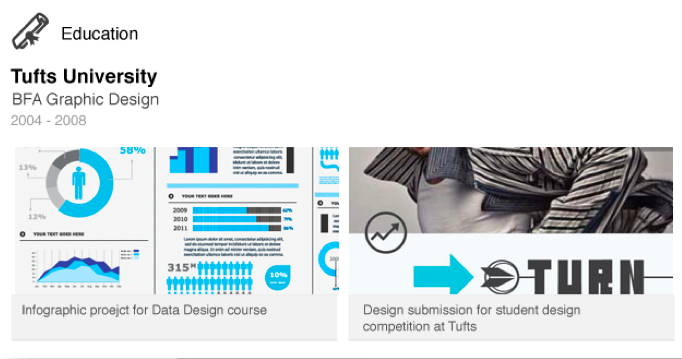 But how do you actually build a great LinkedIn profile as a college student? Mashable has you covered. Some college students are wary of including their profile pictures on LinkedIn for fear of looking too young. But Williams explains a profile picture could actually work in your favor. A photo provides a face for your digital personality and helps recruiters see you as a human, rather than a hyperlink. Your LinkedIn profile should weave together the story of your professional development, so it's good to be as detailed as possible. Include information about relevant coursework, clubs and organizations in which you've participated at school. If you've done any internships or gained work experience, be specific about what skills you developed, how many hours you worked or how many students you tutored. "Part of your differentiator as a college student is that you know technology and you know how to build a professional brand," says Williams. "Employers want to know that you can bring that to their company." You can now visually illustrate your skills with rich media, such as pictures and videos. If you have a presentation you're especially proud of, or a design project you executed for an internship, include it on your profile to help recruiters visualize what type of talent you bring to the table. Tucked behind your professional, yet pretty, profile picture, the descriptions of all your past jobs, and that column of “People You May Know” is a section of LinkedIn that most people have never heard of, let alone seen. And yet it’s the real reason why you should actually care about sprucing up your LinkedIn profile and network. Dubbed LinkedIn Recruiter, it’s the company’s flagship product and the core of the professional social network’s Talent Solutions. Talent Solutions drive just over half of LinkedIn’s revenue, $161 million in the last quarter. While any LinkedIn user can see jobs and the pages companies build for themselves, Recruiter is only visible to companies that pay to use LinkedIn as a candidate sourcing and hiring tool. Recruiter is a bit like a two-way mirror where companies and recruiters can see all of your profile information, without you knowing they’re checking you out. For example, recruiters can search for people with specific skill sets, flag them and add a dossier to their profile — all without that person knowing. They can all of the jobs they’ve listed and people they’re watching. Sure, there is a “Who’s Viewed Your Profile,” but those using LinkedIn Recruiter can make themselves anonymous (as can paying LinkedIn premium account members). LinkedIn wants to make sure those well-paying recruiters and companies have the best possible experience so that they stick around, maybe even tell their HR buddies. To that end, LinkedIn recently unveiled a refreshed Recruiter home page more in line with its consumer-facing products. Recruiter is basically getting “Katyfied”. The redesigned page features a new search tool, update stream, and section called “People You May Want to Hire.” Recruiters can more easily scour LinkedIn’s network of 200 million and growing profiles and keep track of who they are considering for jobs. To date, more than 16,000 clients or companies pay to use LinkedIn Recruiter. The list includes big names like Google, Facebook, Unilever, BP, and L’Oreal, amongst thousands of other large, medium and small business and recruiting firms. The average cost per recruiter account is about $8,000, and it goes way up from there depending how many HR folks are hammering away on it. Suffice to say, even with volume discounts, the companies who have thousands of recruiters are paying a hefty amount for LinkedIn’s tools. It’s easy to see what LinkedIn is doing here. The more it improves Recruiter, the more the service becomes money well spent. Happy recruiters mean more and more recruiters using LinkedIn, which in true network effects fashion translates to LinkedIn becoming the future of hiring (not to mention the fatter future of LinkedIn’s revenue stream). By design it’s going to be very hard for anyone else to catch up. Recruiter already offers several unique features that are incredibly hard for companies to build or find elsewhere: a giant data set of more than 200 million users and growing, a way to engage passive employees, and the ability to build career branding around a company. The value of the LinkedIn’s data is clear — it would take companies years and years to build a candidate pool even a fraction of that size, and it would be nearly impossible to keep up to date. In this final piece in the series, I share with you ways to differentiate your profile and maximize your hard work – repurposing it and getting others to see it! Because your LinkedIn profile is one of the most comprehensive career marketing tools you have, you want to direct people to it so they can learn more about you. Think inside the box! Create a QR code that links to your profile. You can use free tools likeQReatebuzz.com to generate your QR code. In this discussion, I’ll cover ways to ensure you’re found by those who need what you have to offer. I’ll also provide you with techniques for using LinkedIn surreptitiously as a research tool without leaving any fingerprints behind. LinkedIn’s search algorithm favors those who are in your network. That means when people are looking for what you have to offer, the results of their searches are displayed with 1stlevel connections first, then 2nd level connections and so on. So, when you get a connection request from a Walmart sales associate in Arkansas – even though you work in high tech in Boston and have never been to Arkansas – accept it. If someone in his network is looking for what you have to offer, you’ll likely show up higher in the search results. I call this ‘planned serendipity!’. You don’t know who might be looking for you but you need to be as visible as possible to make sure they can find you. A word of caution: Don’t go crazy adding huge numbers of connections you don’t know. When someone receives your invitation to connect, they have the option of saying they don’t know you. If enough people say they don’t know you, LinkedIn could remove your account. Promiscuity also has value when you’re looking at others’ profiles. Because LinkedIn only allows you to see the full profiles of your 1st and 2nd level connections (and those who are in the same groups as you), the more people you have in your network, the more full profiles you can see. Full profiles of 3rdlevel connections are only available to those with Premium memberships. So unless you want to pay for Premium, be promiscuous. And don’t worry about a contact becoming a problem as you can always delete the connection. Don’t assume others know how you spell your name or know that you’ve changed your name. Include all known misspellings, previous names (if you were married or divorced), nicknames and aliases in your summary. It’s the multiple personality approach to being found! LinkedIn has been the goto social network for finding a job as of late, and honestly, why shouldn’t it be? It has a great deal of wonderful resources and tools aimed at job-seekers and employers alike to help them both on their journeys, and is a great tool for job-finding, especially if you can make your profile irresistible. However, LinkedIn isn’t the only way you can find a job. There are other social networks out there perfect for helping you finding the perfect job. Some of them are well-hidden, and some are the usual suspects. The point is that you don’t have to limit yourself, and yes, there are plenty of places out there willing to accept your resumé, especially if you style it right. Below are five other social networks you can use that could very well help you land that dream job. Take a look at them, use them to the best of your ability, and bring home the bacon. Pinterest isn’t just for posting pictures of disgustingly melted crayons and overly-expensive clothing. In fact, it’s a great way for some people to display their portfolio and expertise, too. Personally, I’ve found that Pinterest ideally works for freelancers and prospective job-seekers who are in some sort of visual field. Most importantly, such users can pin their own work from their portfolio sites onto the boards, which in turn link back to said site. Photographs, images, art, videos — all of these can be properly pinned to introduce yourself in a friendly, social manner. Don’t think you should limit your Pinterest usage to showing your own work, though. For instance, designers and stylists can easily develop various boards that show their taste by pinning images, clothing, and other things that they like. This can help potential clients and employers get a feel for the individual’s taste. We recently published an entire article on the benefits of using Facebook when it comes to finding a job. I will highlight the important parts from that article, but do check it out for more information on how you can use Facebook to find a job. There are the obvious things: clean up your profile, post a status asking your friends about jobs, participate in discussions on workplace Facebook Pages; you know them, already. However, the two key Facebook features I would like to point out are the Facebook Marketplace and the Social Jobs Partnership app. Powered by Oodle, the Marketplace functions a bit like any other classified ads site — there’s even a specialized jobs section. From my experience, I thought it was rather useful. For instance, you can search for positions within your area and up to however many miles you are willing to commute, and even better, you can see a limited portion of the job-poster’s Facebook profile or Page. This adds an extra level of accountability that other sites do not have. As for the Social Jobs app, it does virtually the same thing as the jobs section of the marketplace, but it’s a bit more optimized for more intensive job-seeking. For instance, you can browse specific career categories and insert certain keywords which pull data from job resources such as Monster, Branchout, Jobvite, and more. LinkedIn is a social network for professionals. Don’t think of it as Facebook, you won’t find updates about birthdays or pictures of your neighbor’s cousin’s baby’s first steps; this is where your professional persona strives. No matter what industry you are in, having an enhanced LinkedIn profile that speaks to your goals, skills and aspirations is key to landing your next, or first, job. Think of your profile as a way to promote your brand — a professional permalink, a fixed point on the web to promote your skills, your knowledge and your personality. Brands build trust by using an authentic voice and telling a credible story, you are your brand — you should too. LinkedIn hooks you into a network, not just a human resources department. You wouldn’t hand out your resume before introducing yourself, so don’t do it here. Instead, describe your experience and abilities as you would to someone you just met. Reflect on the past six to eight months and take time to update your profile with any accomplishments or details you think will be relevant to your job search. You’re selling yourself and your services and products here, make it count. LinkedIn lets you drag and drop sections of your profile, to highlight your accomplishments, your expertise, your skills and recommendations. Take a few minutes to go back to your profile, drag, drop and review the way it looks. Play around with this, you never know what will catch the eye of a future employer. In addition, write for the computer screen, formatting text in short blocks of copy with visual or textual signposts. Light up your profile with your voice. Use specific adjectives, colorful verbs and active construction (for example cite “managed project team,” rather than “responsible for project team management”). Speak naturally: only write in the third person if such formality suits your personal brand. Picture yourself at a conference or client meeting. How do you introduce yourself? That’s your authentic voice, so use it. Choose wisely: Don’t over-inundate with every single piece of work that you’ve done over the course of your career. Include the pieces that best reflect your creative ability and industry experience. Quality over quantity definitely rings true in a portfolio. Pick your top-line projects or awards to show off your versatility. Be appropriate: Your profile should be able to go from a buttoned-up corporate employer to an unconventional one without changing a thing. Your profile should speak for itself, so always remember to keep it suitable, and employers will surely see the scope of your ability. Details, details: The best way to demonstrate your range from leadership to team-oriented roles is to include thorough information as to exactly what role you played in each item. This honesty as well as a tangible way to see your growth will surely be impressive to a potential employer. Creating a strong portfolio is key to landing that next new assignment or dream job. That line of text under your name? It’s the first thing people see in your profile. Make it short and sweet and to the point. In searches, the LinkedIn headline follows your name. It’s your brand. (Note: your e-mail address is not a brand!) Use power keywords, words of action and words that show accomplishment and achievement – as opposed to words that merely describe what your previous role was. So what if you are unemployed? What should your tagline say then? Make sure that both your resume and profile reflect the changing times. Eliminate any terms that may have become obsolete.